Advertising with AUVSI will ensure your message is seen by the right people in the unmanned systems community. Whether you need to focus on a U.S. target or need to reach a truly global audience, we have a solution for you. For more details, view our 2017 Media Kit hosted by The YGS Group. 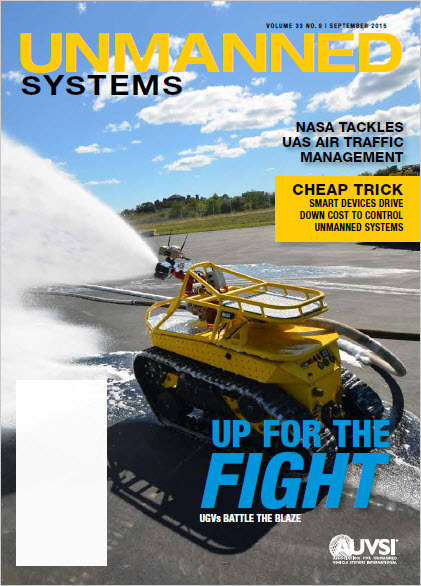 AUVSI's monthly print publication, highlights current global developments and unveils new technologies in air, ground, maritime, robotics and space systems. Unmanned Systems magazine has a worldwide readership of over 27,000 and reaches a highly desirable audience of decision makers and organizations driving the industry forward. Check out our media kit for advertising opportunities and pricing. 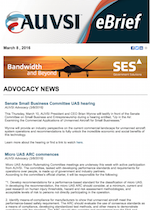 AUVSI's weekly eBrief is the premier electronic newsletter in the global unmanned systems and robotics community, averaging over 40,000 viewers.